Enjoying one of the most exclusive and sought after locations in Dore and nestling in the heart of the village is this delightful four bedroom stone built farm house with further attached cruck barn to the side which offers ideal opportunity for conversion into further accommodation. There is a double garage with further stone built outbuildings. 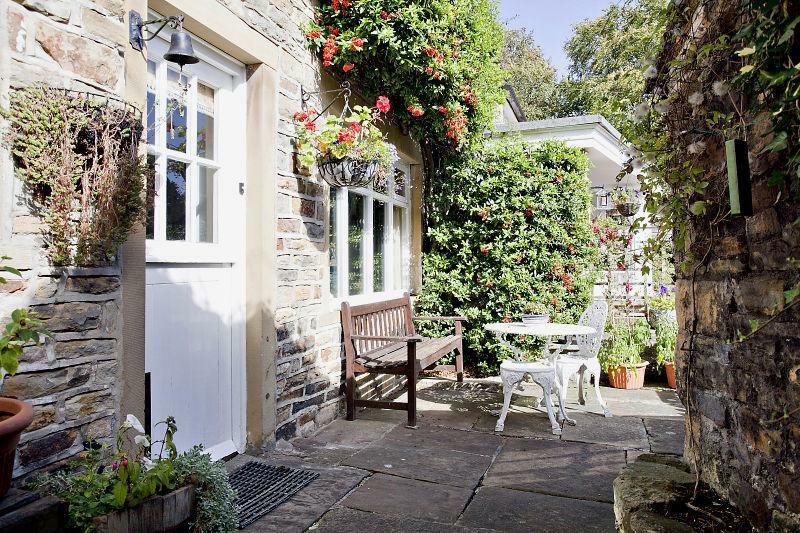 The property stands in attractive south facing gardens with ample parking for a number of vehicles. The property offers gas central heating, fitted kitchen with utility room, sun room, two bathrooms & downstairs w.C, impressive entrance hall with three further receptions rooms, a potential to convert the initial outbuildings and cruck barn into further accommodation. This spacious family home is extremely convenient to all local amenities within Dore including churchs', post offices, reputable schools and regular transport links. 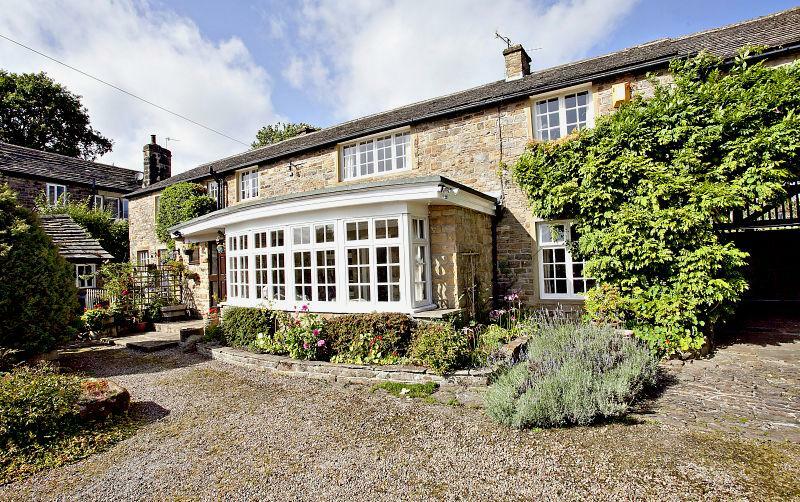 Dore is one of Sheffield's most affluent residential areas with a good range of schooling for all age groups and is easy accessible to Derbyshire with breath taking scenery of the Peak Park and a wide range of opportunities for all recreational pursuits. Enjoying one of the most exclusive and sought after locations in Dore and nesting in the heart of the village is this delightful four bedroom stone built farm house with further attached cruck barn to the side which offers ideal opportunity for conversion into further accommodation. There is a double garage with further stone built outbuildings. 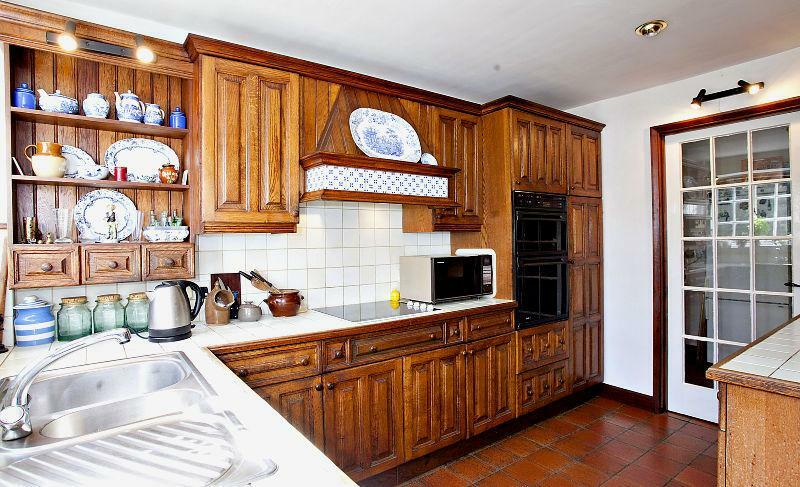 The property stands in attractive south facing gardens with ample parking for a number of vehicles. The property offers gas central heating, fitted kitchen with utility room, sun room, two bathrooms & downstairs w.C, impressive entrance hall with three further receptions rooms, a potential to convert the initial outbuildings and cruck barn into further accommodation. This spacious family home is extremely convenient to all local amenities within Dore including church's, post offices, reputable schools and regular transport links. 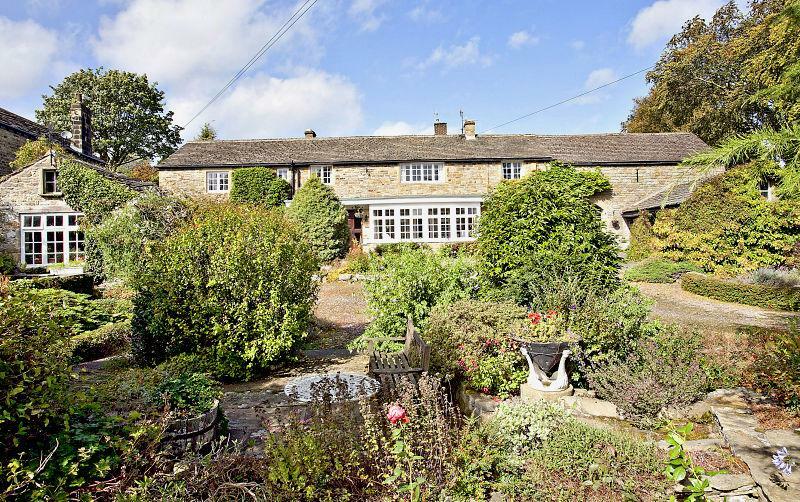 Dore is one of Sheffield's most affluent residential areas with a good range of schooling for all age groups and is easy accessible to Derbyshire with breath taking scenery of the Peak Park and a wide range of opportunities for all recreational pursuits. This hallway provides ample space that could be utilised as an additional room/ music room. The focal point of the room is the duel fuel stove set in a stone built chimney breast with york stone hearth. 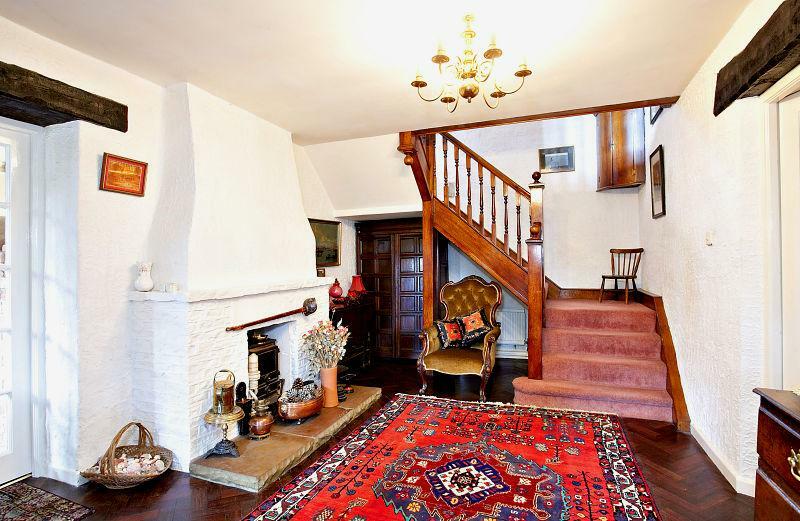 Original parquet flooring with staircase leading to the first floor, central heating radiator and telephone point. With a front facing double glazed window, fitted window seat overlooking the pleasant front garden, central heating radiator, delft rack to wall and central fire place with decorative recess to the feature brick built surround. Fitted with a range of wooden base & wall units, built in electric double oven with central canopy & extractor above, integrated dishwasher, tiling to splashback areas, tiled worktops to the base units with electric hob. 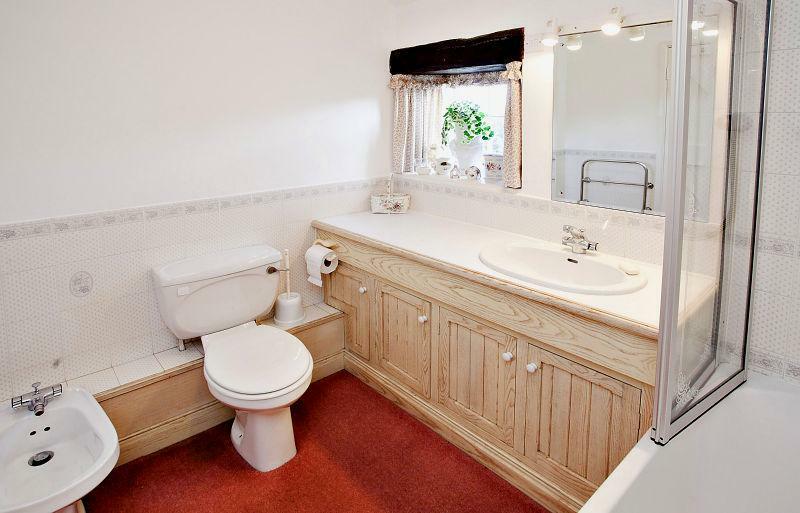 A 1 1/2 sink with two taps, a front facing paneled style window, downlighters to the ceiling, tiles to the floor and stable style door opening to the attractive front garden. With a side facing single glazed window situated over a stainless steel sink with drainer. Floor standing Potterton boiler to one side, space for an upright fridge freezer and space & plumbing for an automatic washing machine. 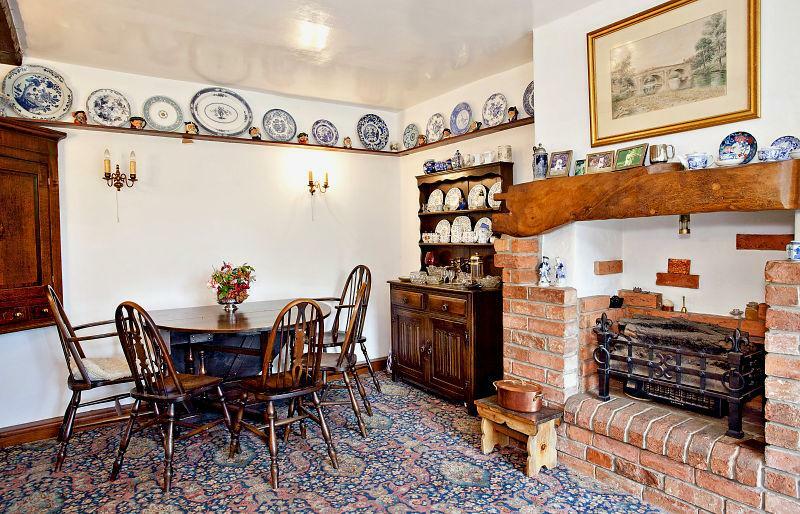 Offering good size accommodation with further parquet flooring, open fire situated on the York stone hearth and oak mantle. There are three central heating radiators and complementary internal paneled windows. With a feature cast Victorian style radiator located beneath a front facing single glazed window. Three side facing secondary double glazed windows look through to the cruck barn. 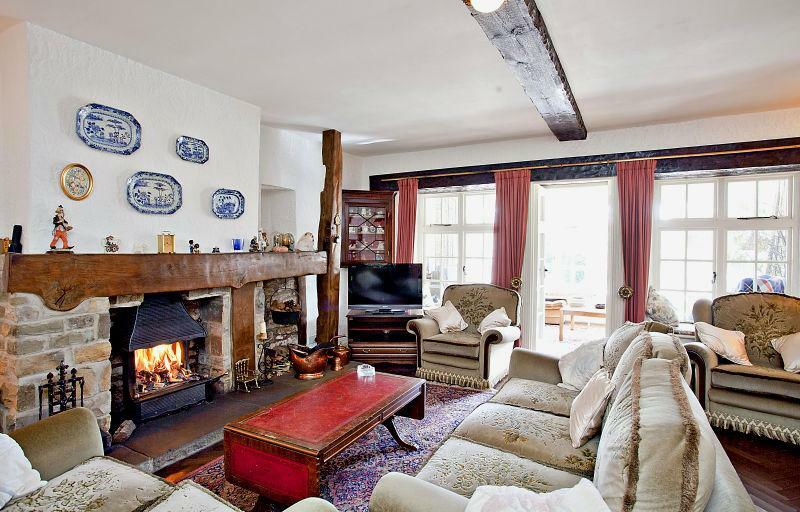 The focal point to the room is the Georgian fire place situated on a stone surround. Is accessed by double doors from the living room. There is an attractive front facing window which attracts sun during the day and overlooks well presented gardens to the front, a fitted seat beneath the window and two Victorian style central heating radiators. With a rear facing secondary double glazed window. A short flight of stairs ascend to the landing with wall light, built in storage cupboard, central heating radiator and access to the loft. 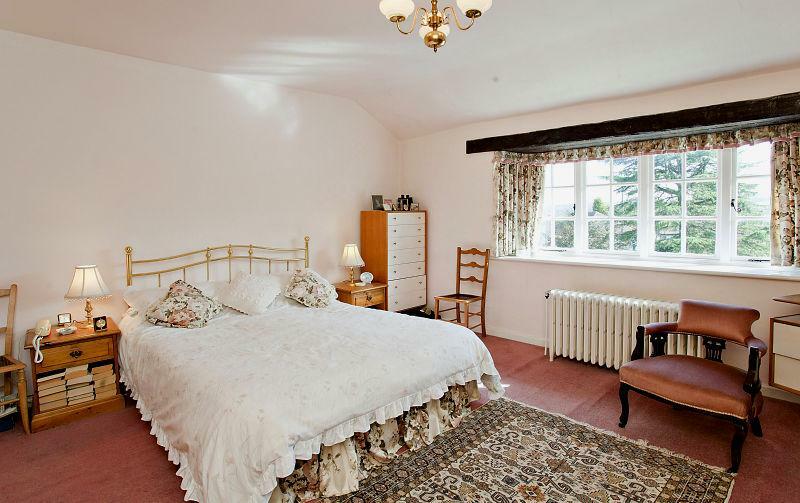 The generously sized master bedroom has a range of fitted wardrobes, Victorian style central heating radiator is situated beneath the front facing widow which overlooks the delightful garden. 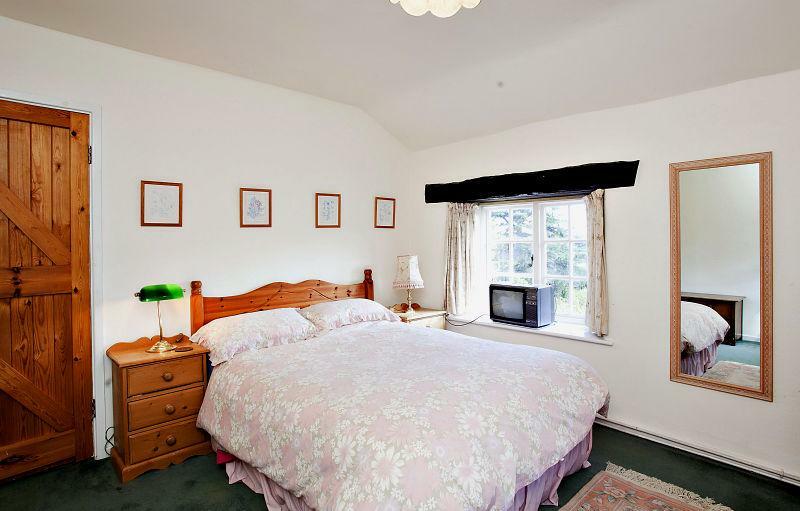 Situated next to the main bedroom with a front facing double glazed window & single radiator. Fitted with a white suite comprising of; paneled bath with Mira shower over, pedestal hand wash basin & low flush w.C. The central heating radiator is situated beneath a side facing window, a further front facing window overlooks the garden and moors beyond. With double aspect rear and front facing double glazed windows, radiator and fitted storage cupboard. With a range of built in wardrobes with high level storage cupboards, a rear facing window and central heating radiator. With a white suite incorporating paneled bath with side controls, shower over with shower screen to the side. Wash basin housed in the vanity unit with storage beneath, w.C, wall mounted towel rail, extractor fan, tiling to splashback areas, front facing window and useful linen storage cupboard which is situated at the rear of the bath. 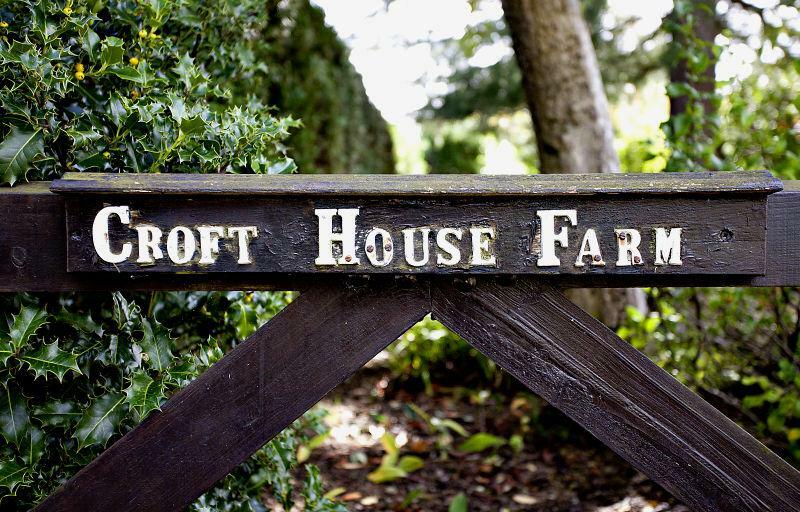 Access to Croft House is approached via a security gate which opens to give access to a driveway providing parking for a number of vehicles, the driveway is part gravel and part stone and leads up to the double garage. Access to the cruck barn which is believed to date back to a circa 1600's and offers plans and planning permission in the past for further development, this could be developed into further accommodation with the necessary consents permitted. At present the original cruck is displayed on the gable wall with further exposed timbers to the roof, York stone flooring and power. There are large double gates open to the rear. This really does offer potential to the perspective buyer with right of way to Church Lane. Further detached outbuildings constructed of stone with pitched roofs. 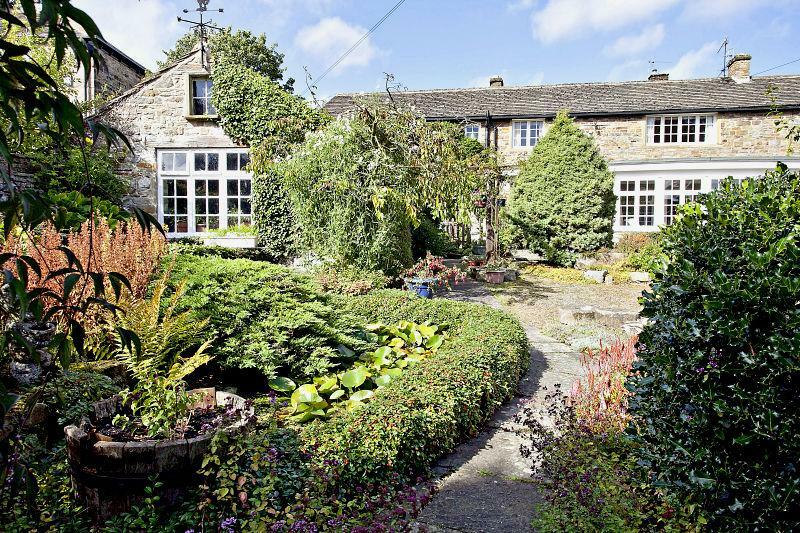 The property offers south facing gardens with two outside ponds and further walk ways winding down the front of the property, there is an attractive lean to potting shed with York stone terrace to the front of the property. Further down the front garden is a profusion of bush and flower borders with an enclosed dry stone wall and useful vegetable patch at the bottom of the garden. Providing further parking and storage. With a side facing window and stable door. With a front and side facing windows, timber door and York stone flooring and pumps for the pond. Croft house farm is situated no the main road running through Dore Village, with the Hare & Hounds public house is on the left hand side. Proceed pas the church and the access gate to the croft house farm is on the right. For any further information please contact the office, a viewing is highly recommended through the selling agent William h Brown.